Who thinks this model didn't actually eat any of that? If you ever watched festive feel-good flick Elf, and craved a place of his syrup-soaked spaghetti/candy concoction then a) You were probably pregnant and b) You can try it for real this coming weekend, at a screening of the film in Stratford. 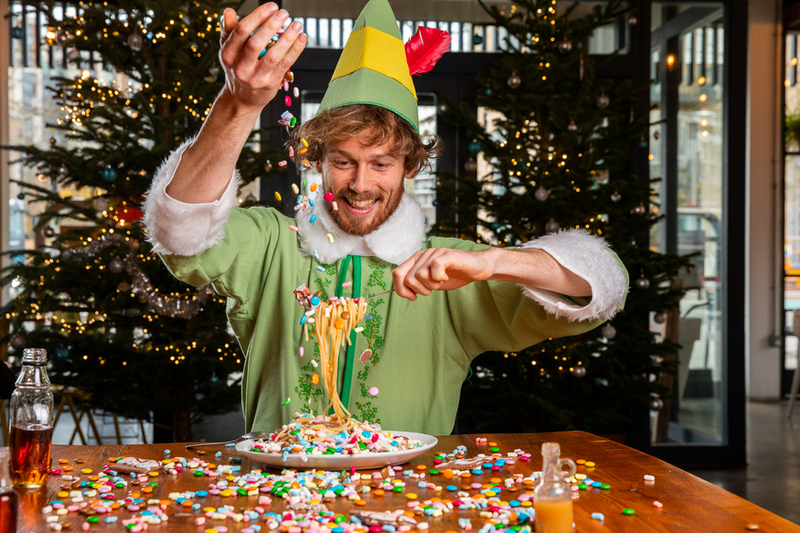 On Sunday 9 December, Neighbourhood in East Village E20 is dishing up plates of the diabetes-inducing dish, inspired by Buddy the Elf's favourite meal. 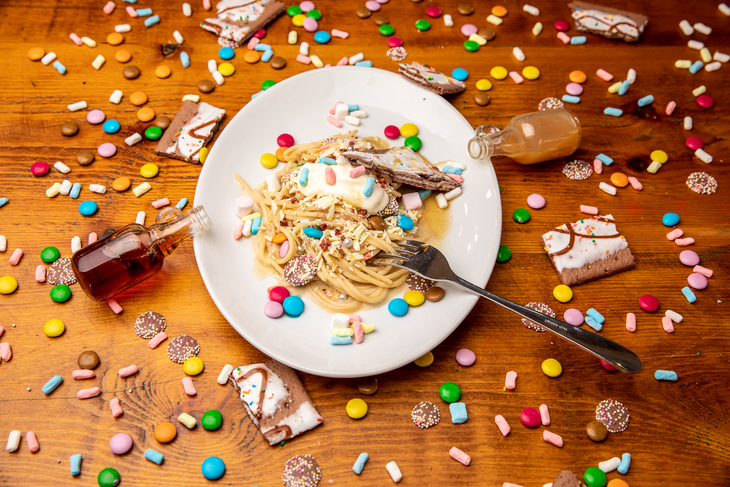 It's comprised of spaghetti, apple and cinnamon butterscotch sauce, mini marshmallows, pop tarts, smarties, hundreds and thousands, vanilla cream cheese and a topping of maple syrup. You know, subtle flavours. The first 50 people who show up to the screening will be punished rewarded will a free helping. Our advice: no need to rush, we reckon there'll be plenty going spare. Watch Elf, while making yourself a bit ill at Neighbourhood, at 3pm on Sunday 9 December.